The SCDC Planning Committee met on Wednesday 9 August to determine the application to build up to 110 houses on the water meadows between Cox’s Drove and Teversham Road. Despite having been refused on Appeal last year, the Planning Committee approved permission for this application. Members of SFF were present at the meeting and were very unhappy at the way the meeting was conducted and are now taking advice on how and what to do next. We shall keep you informed of developments as they occur. Castlefield presented a last minute document to the Legal Officer at South Cambs on Tuesday evening 8 August. This document supposedly addressed the way the open spaces, drainage problems etc would be addressed thus overcoming the Inspector’s reason for dismissing the Appeal. The existence of the document came to light by chance during the meeting on 9 August and had not been seen by the members of the Planning Committee or Fulbourn Parish Council. The planning meeting was adjourned for a very short period to allow the members of the Planning Committee and public present to see the document. Although SFF and the Parish Council do not believe the document addresses the issues relating to the open spaces, the Planning Committee approved the application by 8 votes to 4. The document states a management firm will be responsible for the open spaces and the costs will be borne by all the residents of the estate which includes 30% avoidable housing. Should the management company no longer exist, then the residents will be solely responsible. SFF and Fulbourn PC have confirmed that the comments deadline has been changed to Friday 17th March – but it is still not too late to write in now – all letters will be considered – says John Williams, Fulbourn councillor. We are initially reminded that this is a New Planning Application and it will of course be regarded as NEW – even though much of the detail has stayed the same. So in many cases you could submit the same comments letter that you may have done previously. However there is new content in the new application and of course time and legislation have moved on, so it is worth revisiting the new application with respect to the original one and comparing the two. Castlefields International Ltd, do of course argue where it suits them, that the previous Appeal Inspector’s judgement is “case” law, as they discuss the points won and lost at the Appeal in their numerous documents. This may or may not hold weight with the new planning committee – just be aware. There are quite a few errors and (deliberate) omissions within the Castlefield International Ltd’s submission that our SFF team have seen – please include these as you see fit. The Appeal was dismissed = Fulbourn’s fields saved! My overall conclusion, therefore, is that the appeal proposal would be in conflict with the development plan and would not be sustainable development. The adverse impacts of the proposed development would significantly and demonstrably outweigh the benefits which would arise from this development and I therefore conclude that this appeal should be dismissed. The Public Inquiry ended on 22 September, having lasted 7 full days – the original estimate was for a 3 day inquiry. 110 big houses behind Cow Lane/Teversham Road? We must keep saying NO! Castlefield (Hutchison Whampoa) have appealed, and there will be a Public Inquiry in September 2016, before a Government Inspector. South Cambridgeshire District Council will be defending their unanimous decision (in August 2015) to reject this application. They recognise that this housing estate, if ever approved, would spell the end of Fulbourn as a village. But the stakes are high. If the Inspector, under pressure to meet national housing targets, over-rules all the local objections, then these 110 houses will be built, with disastrous consequences for Poor Well and for the whole environment of this part of Fulbourn’s Conservation Area. Fulbourn would never be the same again, because this housing estate would set a precedent for others around our village. There are very strong technical arguments against allowing this estate, which is on wet land (formerly Green Belt), requires duckboards for pedestrian access, and poses a huge threat to the aquifers and the chalk stream and the wildlife, with a real risk of local flooding. But the village (not just SCDC) needs to make these arguments effectively in September. Otherwise, all will be lost. Save Fulbourn’s Fields is in the vanguard of this effort, because we passionately believe that this huge urban housing estate is wrong. We have already raised significant funds. But more is needed for the professional advice which is essential, if Fulbourn is to succeed at a National Inquiry of this kind. So please … Come along to our POP UP CAFÉ FUNDRAISER on Sat 14th May 2016 to hear more. or Donate to our Campaign, via cheque or internet, click here for more details. As fairly new residents to Fulbourn we love to walk through the various paths and fields throughout the village. We are sadden to hear that all these houses could be built on such a beautiful area for walkers and wildlife. Fulbourn is a unique village and it should remain as such. Devastated at the sight of the field today, my daughter was in tears. The archeological survey has no doubt ruined the breeding season for the birds that inhabit the reeds & grasses. Will you be objecting to the outline application to build on the Green Belt north of Lanthorn Stile? 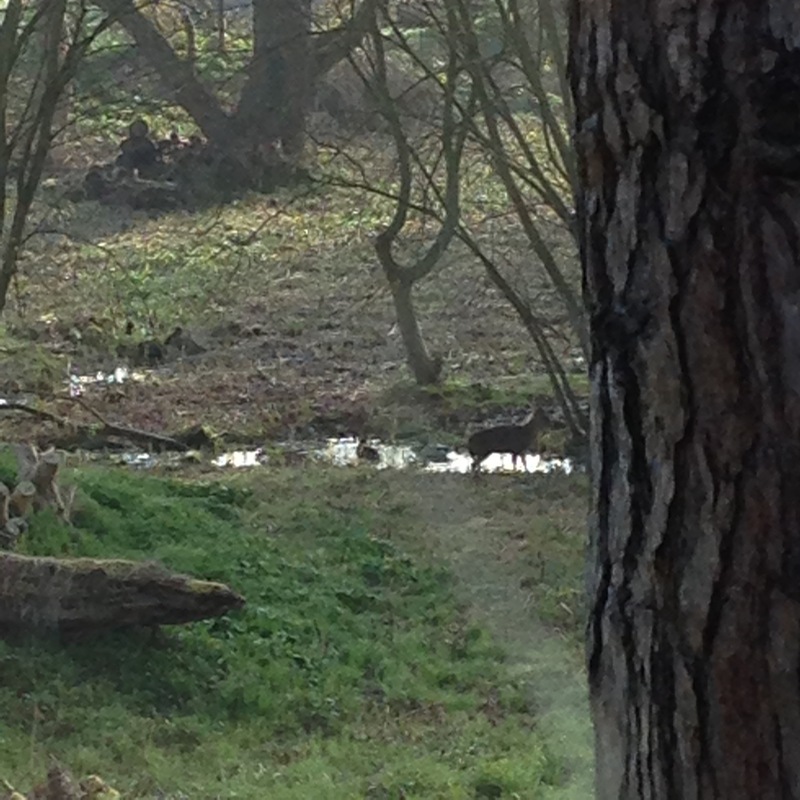 I have had 3 hens taken by foxes today. In the 5 + years I have kept them the only previous fox attack has been when the ground was frozen in the heavy winter 2/3 years ago. I am convinced this is due to the disruption the archeological dig caused to the rabbit population and the lack of food meaning the foxes have had to come further into the village. Devastating for the children as the hens are pets as well as good layers. While we applaud the amount of publicity you are generating and the successful appeals for funding from village residents and organisations(e.g. Fulbourn Forum) it would seem that -despite the name of the campaign (‘Save Fulbourn Fields’) your focus is entirely based on one proposed development. In the past have you campaigned against other developments? e.g Ida Darwin, Peterhouse or land north of Lanthorn Stile? Do you intend to do so? If not, why not? There is a danger that ‘Save Fulbourn Fields may be perceived as something of a misnomer and we wouldn’t want this campaign to be seen as NIMBYism. 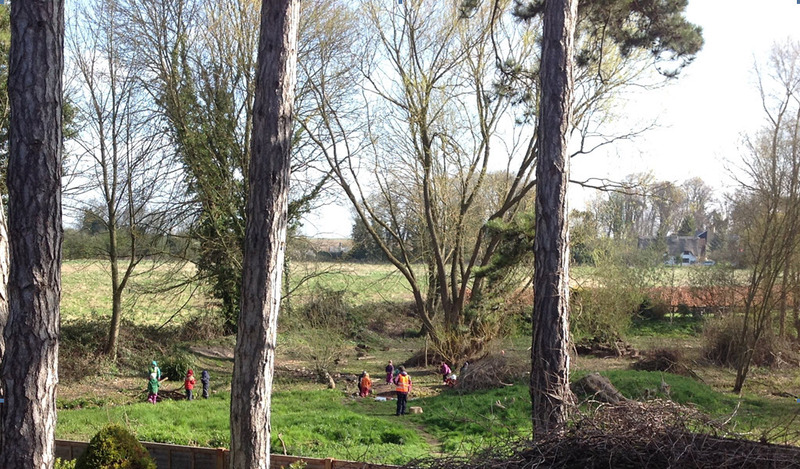 We are committed to the saving of ALL Fulbourn’s green fields, including those north of Lanthorn Stile. 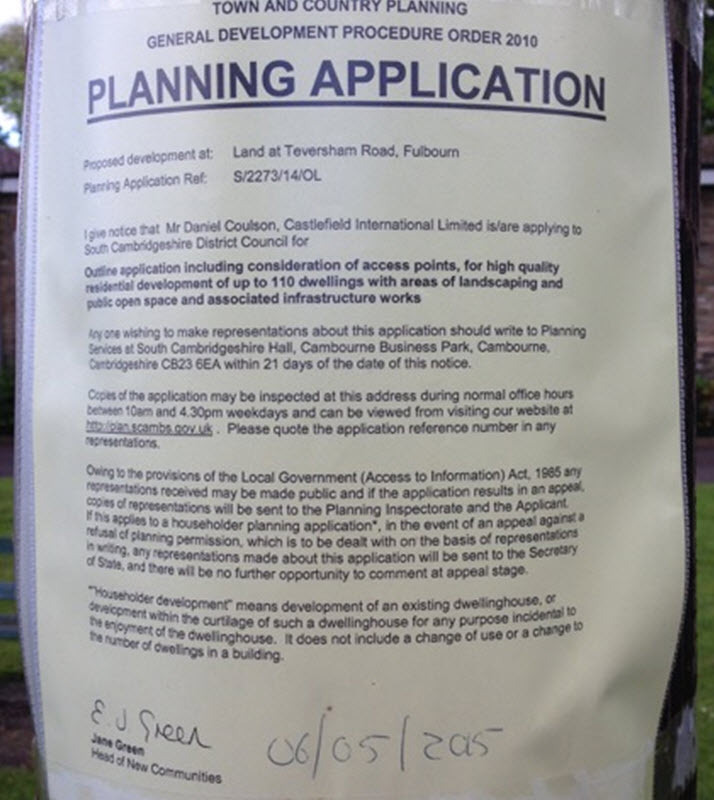 (Ida Darwin is not a greenfield site, and the Peterhouse site is not in Fulbourn). We have focussed on the Cow Lane/Teversham Road proposal because it is the most damaging to Fulbourn as a village, and because if we lost it would set a disastrous precedent for other sites around Fulbourn. Many people in the village are devoting a huge amount of time to preparing the case to be presented at the Inquiry. When it is over and a decision announced, I am sure that the position will then be reviewed in relation to other Fulbourn fields under threat of development. We will willingly have a section of our Website devoted to Lanthorn Stile, if you can supply some photographs and text. The important thing is that we should all work together to preserve the environment and character of Fulbourn as a village. I moved to the village, because it was a village and because it is surrounded by nature. As a parent we all want our children to hopefully one day spread their wings and move out, but, in honesty, not to far. To be able to do this, we need more houses. I suggest the IDA Darwin site, being a run down area already, it would be a much more suited site for re-development. Lets keep the green fields for our children’s children. My family and I recently moved to Fulbourn, Roberts ways to be precise. 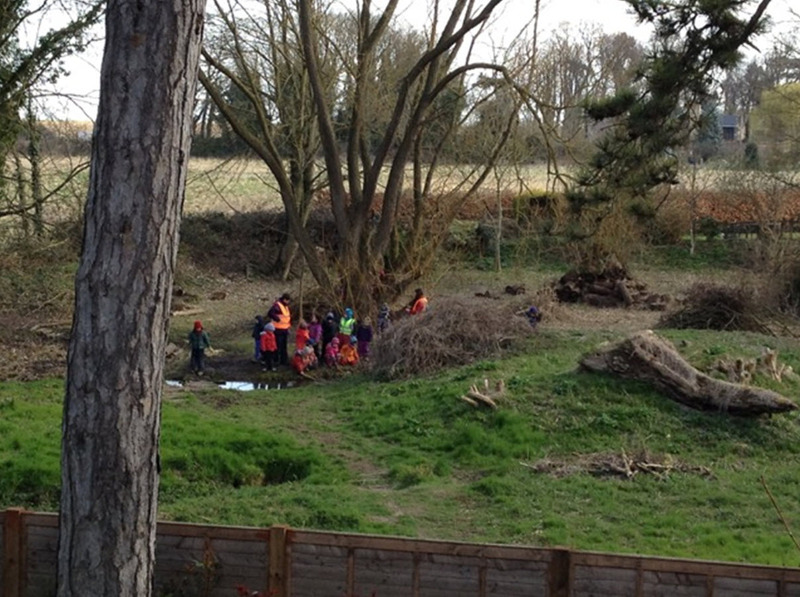 We moved to the village because it is a village and has lovely green space for children and adults alike. The fields on Cow Lane by the Poor Well are a place my family and I enjoy. Please don’t build on the green spaces. I am writing to you to support the Save the Fulbourn fields campaign. This part of Fulbourn is very important for my family and it would be so sad to lose it. Over the last year, my 4-year-old son, with other children from his kindergarten visited this place every Monday. 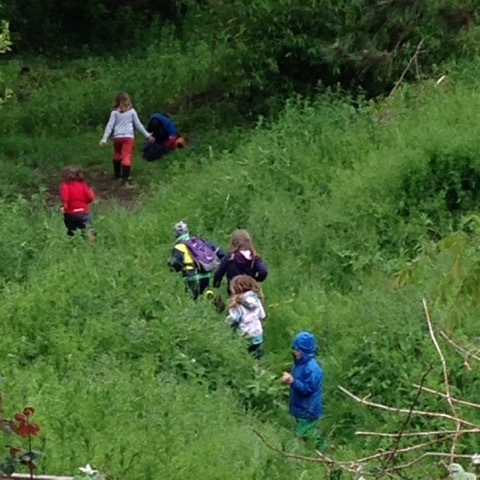 This is a part of a routine walk to observe nature and to see how seasons are changing. As the Horse Pond is situated within walking distance of the Steiner School, it makes it a great and important place for children to learn about the enviroment, plants and creatures. Children from kindergarten and school have been going on regular walks through these fields for years. My son has great memories about horse pond and the fields. He remembers how he saw a deer, released a toad after finding it in the car park, how he with his teacher and friends collected elderflower to make cordial as a gift for father’s day and so on. This place is one of the few unspoiled and unique places in Cambridge. It is very dear to many people of Fulbourn. I do sincerely hope we could save and preserve it!